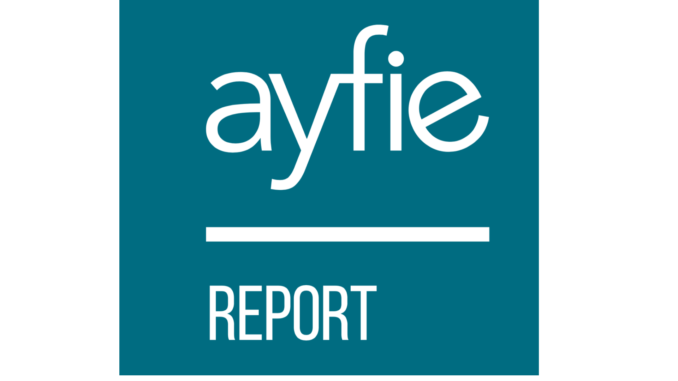 The finding is one of several insights from the Ayfie Legal Tech Trends Report 2019, which interviewed a small, but indicative sample of 22 experts, including CIOs, CEOs, lawyers and legal tech consultants, to gather their views. Naturally, this should be seen as a Vox populi poll, rather than an exhaustive study. Nevertheless, the findings are interesting given the survey group. For Artificial Lawyer this is probably the most significant finding because it boils down to a strategic and market competition issue, i.e. will late adopters, or low level adopters, see a competitive disadvantage? In this case it refers to the need this year, but on a longer time scale it’s interesting to consider how rapidly those numbers will change. And this raises more questions. Clearly we are focused here on the larger commercial law firms making use of text analytics and NLP review technology – as that is where the bulk of the activity and expressed market need is located. But, even so, have we got to a point where most clients ‘notice’ if a firm is providing this kind of service? Or perhaps they don’t notice and perhaps don’t care, but are focused on the price and speed you can produce work, hence AI tools become a factor again even if not explicitly mentioned? Moreover, what about the impact of NLP/ML and other text analytics approaches that are focused on a firm’s ability to be efficient around knowledge management and retrieval of key legal data for use by the firm? And then we have systems focused on caselaw research and prediction, as well as pre-screening documents and other use cases. Meanwhile, much of this technology blends into other types of applications from DMS tech to workflow automation and doc generation. And of course, we have a huge variety of law firms in the market, many of which probably don’t need AI tools right now. For example, there are around 10,000 law firms just in England & Wales, of which 99% are relatively tiny. Could they see advantages from using AI and other automation tools? For sure. But, will their clients notice? Would they even know what to look for? Which as said, suggests we are primarily talking about the larger commercial firms – at least for now. In short, there’s a lot of moving pieces here. But, in general, the fact that we are even seriously entertaining this question is a big step forward. Imagine in 2016, for example, even considering that the use of AI tools was providing a tangible advantage over firms that were not using such tools. The results would have been very different back then in the ancient history of three years ago. …and that this transformation would continue to progress at a healthy pace in 2019. Corporates are now much better informed about what technology can do in the legal field and this is closely related to driving efficiency in legal operations. 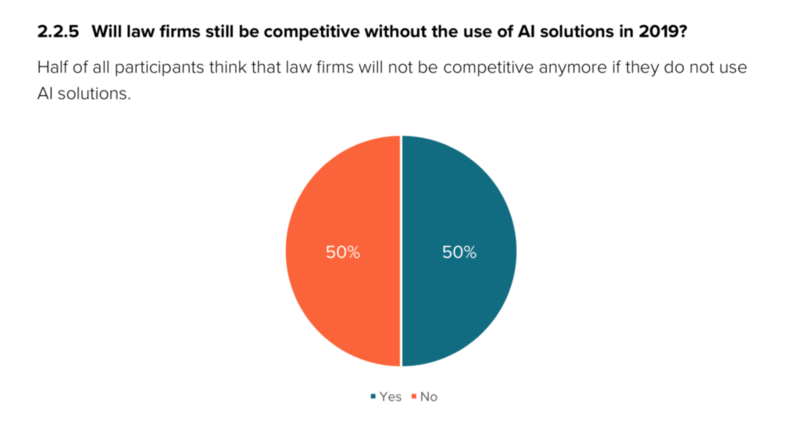 And more broadly, the respondents said they believed that we will see a widening adoption of AI and automation tools across the legal sector, moving far beyond the main area of review and into multiple use cases. ‘AI will offer a lot of short- and long-term benefits if it is being used to streamline manual and repetitive tasks within the legal workplace. Innovations will be brought throughout all law firms, from the back office to legal ops. At the same time, there will be more small and medium size law firms and clients who are adopting legal technology for the first time,’ Ayfie concludes. Overall, a very positive picture. As said, this is based on an indicative demographic sample, but raises plenty of useful themes to explore further. You can download the full report: here.